1. Register an account online, choose either Download or Instant Play, or use your mobile device and register using our Mobile Casino app. 2. Log in to the Casino and wait for the bonus claim slider to appear from the right hand side. Click here to see what it looks like. 3. Follow the instructions on screen and enjoy over 500 casino games without making a deposit! Our fantastic Welcome Bonus means you can also claim up to an additional £160 free when you make your first casino deposit - that's up to £170 free when you join! 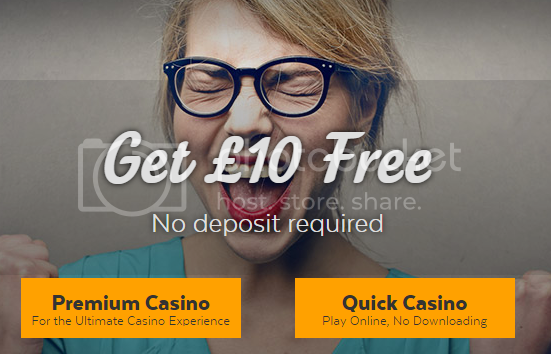 No deposit, No delays, No fuss - just £10!!! Woooo…. It’s a bonanza for the players. Amazing offer! Surely will entice myriads of game lovers! It’ll be a win-win situation for all. Try your luck guys!! !